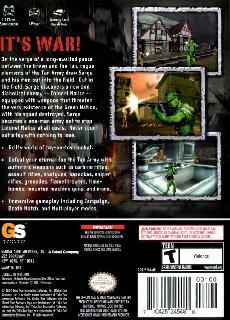 Third person shooter style game. Sarge goes against the Tan army. Set in a mix of the real world and toys. It was always a cool game for me and a family favorite. I could never beat the final boss level but my brother could beat it just fine. It has many types of guns that you can keep using until you run out of ammo and you can shoot normal or sniper style with some weapons. You can even throw grenades when you find them. You can lock on to enemies. You can find protective armor through out the game. Now you can add videos, screenshots, or other images (cover scans, disc scans, etc.) 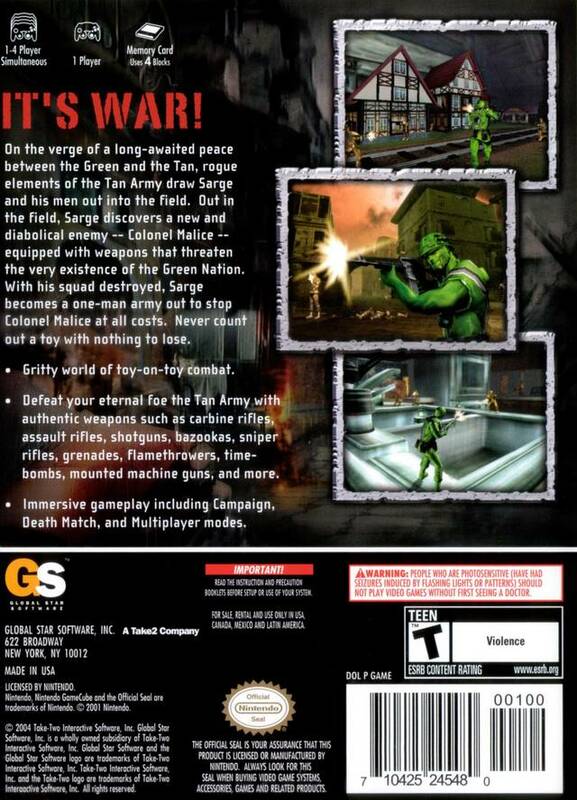 for Army Men Sarges War to Emuparadise. Do it now! If you haven't noticed yet, we have a retro game of the day feature (top-right of the screen) wherein we feature a new retro title every single day! Now, you can vote for your favorite games and allow them to have their moment of glory. 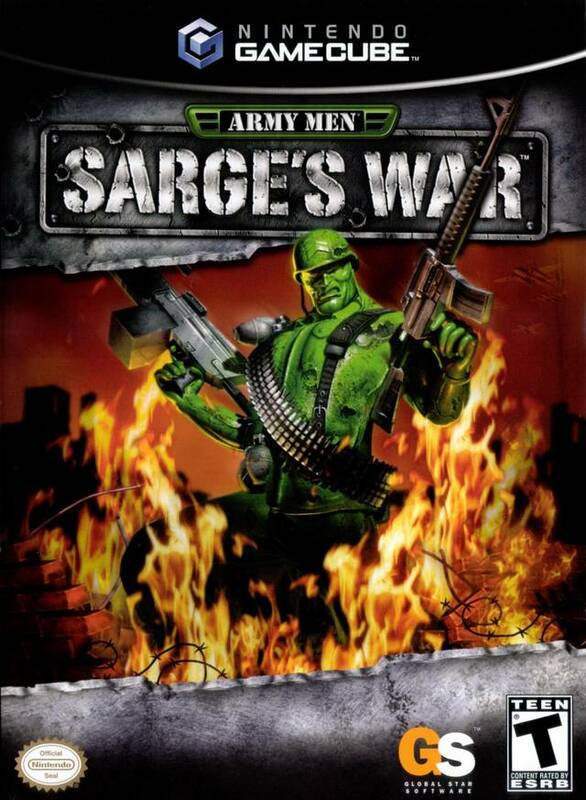 Click on the button below to nominate Army Men Sarges War for Retro Game of the Day.